She did it again. Winx won. 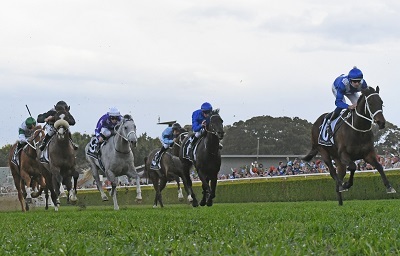 That makes it 26 straight victories, breaking the winning sequence of Black Caviar, and she did it in the race named after her honour, the $500,000 G1 Winx Stakes (1400m). Looking at the Punters Intel sectionals from the race, it’s almost not fair what can do. The seven-year-old ran her last 600m in 32.33s, her last 400m in 21.27s and her last 200m in 10.79s. Too right we are. The Randwick stand was again a sea of blue with Winx flags being waved and kids decked out in Winx silks. All 11,793 spectators in awe of the champion mare. “What she is doing for sport in Australia - we should all take a bow and say well done,” Waller continued. “Just looking for signs of her losing that dominance, I haven’t seen one ounce of it. If anything I’ve seen improvement. It’s quite staggering. Winx will next run in the George Main Stakes on September 15. Then there was the run of the second placed Invictus Prince. The import’s jockey Jason Collett said it’d be easy to mistake he’d won the race given how thrilled the connections were. “He gave me a really good feel in his trials but I never let him go so I didn’t really know what was under the hood. I could have been dreaming but there is definitely something there off that,” Collett said. Trainer Matthew Smith said the G2 Chelmsford Stakes will be the likely next stop for Invictus Prince. “We had good faith in the horse, we thought he was a good horse from what we’ve seen at home. Even though his first two runs weren’t quite what we expected we still had faith in him,” Smith said. Meanwhile, D’argento got a big tick from James McDonald after the grey son of So You Think held off Kementari for third despite covering early ground. “He ran super. He gave me a beautiful ride throughout the race. He was exposed with no cover half way through the race and then slotted in nicely. He just peaked late,” said McDonald. Waller admitted to only having eyes for Winx in the run but was thrilled when Star Thoroughbred’s Denise Martin told him he’d run third. The four-year-old ran the fastest 600-400m split in the race, according to Punters Intel, clocking a 10.98s. Waller will continue to chase Group Ones over 1400m and the mile with D’argento which puts races like the Memsie Stakes, Makybe Diva Stakes and Epsom Handicap on the radar. 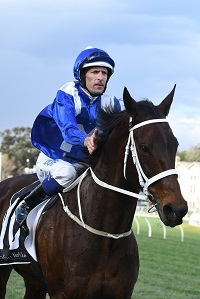 Click here for the thoughts of all of the beaten jockeys in the Winx Stakes.